Figuring out how to fix your head gasket leak can be a difficult decision, but unfortunately it is one you have to make. Continuing to drive your vehicle with a head gasket leak can be a dangerous thing. Even if it’s a small leak and you only have to add coolant every few days, driving your car with a blown head gasket can lead to even more costly engine damage, and has the potential to leave you stranded with a hefty towing bill. Similarly, it doesn’t do any good to let your car simply sit while you waver on the decision. Sitting is bad for any car as it can lead to flat tires, dead batteries and dried out seals. If your car also has a head gasket leak, your engine will have water in places it shouldn’t be leading to rust and corrosion. 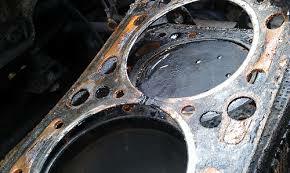 This rust and corrosion can turn a head gasket job into a full engine rebuild and end up costing you a lot more money. How quickly do you need your car back? Do you have a mechanic you trust to do this complicated of a job? 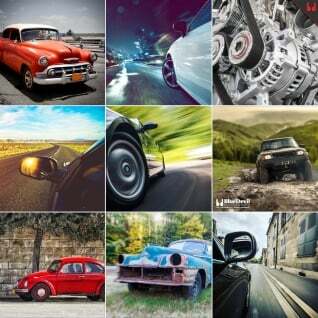 The first thing to consider is the value of your car. On some late model cars, a blown head gasket is enough to consider the car dead. Often times the cost of a mechanic’s repairs will actually be more than the car is worth and you would be better off putting that money towards a new vehicle. In this step it is also worth thinking about whether or not that vehicle has special meaning to you or someone in your family as that can sometimes be a reason to spend a little extra to keep that car on the road. Next, consider how quickly you need your car back. Some mechanics may need your car for 1 to 3 weeks to complete a head gasket job. The long repair time is due to the intricacy of the work that needs to be done, the availability of the parts and that sometimes extra work needs to be done to the components removed, like the cylinder heads, which a mechanic will need to have done by another shop. If you’ve got another vehicle you can drive or share in the meantime, this may not be an issue for you, but if this is your only car, 3 weeks just isn’t an option. As we mentioned early, replacing a head gasket takes a significant amount of skill and knowledge of how an engine works. Many entry level mechanics won’t have the experience or education to complete a job like this so choosing the right mechanic for the job is a very important step in figuring out how to fix your head gasket leak. It would be best to have an ASE certified Master Mechanic doing the job, but along with the fancy title usually comes higher hourly labor costs. The last piece of the puzzle to consider is what the total cost will be for the work. If you have an inline 4 or 6 cylinder engine you may be able to have to head gasket replaced for as little as $1000. If you have an H4, V6 or V8 engine you may be in for costs ranging from $1500 to $3500 to have the head gaskets replaced. 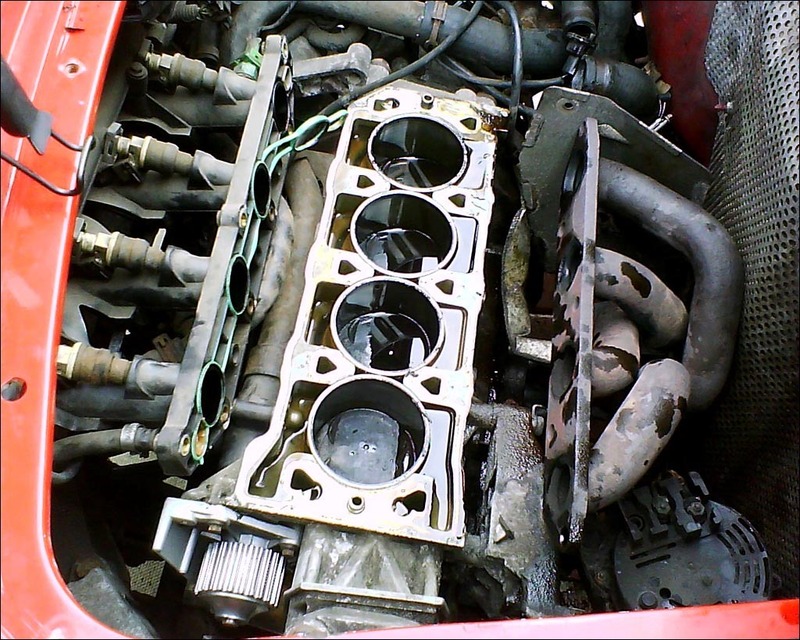 Luckily, there is a way to fix your head gasket leak without replacing your head gaskets! BlueDevil Pour-N-Go Head Gasket Sealer is a quick and easy to use alternative to replacing your head gaskets. BlueDevil Pour-N-Go Head Gasket Sealer lives up to its name in that you simply pour it into your radiator while the engine is cold and idling, replace the radiator cap, and go! BlueDevil Pour-N-Go Head Gasket Sealer will seal the leak in your head gasket while your engine is idling getting your car back on the road quickly and for less than the cost of a new set of brake pads! It would not be necessary to use both products for your Civic. We recommend adding 8 – 10 ounces (based on cooling capacity) of the BlueDevil Head Gasket Sealer to your system; this will address either or both issues by permanently sealing them. 1995 monte Carlo question. I have a head gasket leak to the extent of it pushing coolant out the exhaust in a stream about the size of a pencil. Will your product fix this big of a leak? It sounds like your Monte Carlo is experiencing a fairly large leak. In general, for BlueDevil to work successfully you shouldn’t be losing more than about 1 quart of water/coolant during a 50 minute idle. Unfortunately, you may have a leak that is beyond what BlueDevil is intended to fix. We recommend having it repaired at a certified shop. I have a 2001 pt cruiser. I just used the gasket sealer last night. I used about 1/2 the big bottle(yellow and blue) I’m wondering how long it will take for the car to stop overheating. You should know within a day or two as to whether or not the BlueDevil Head Gasket Sealer has worked. Usually once the recommended 50 minute idle is complete and the vehicle has had a chance to cool down the seal should be intact. Just replaced head gaskets on a 1988 2.8L V6 Firebird. Still getting occasional bubbles in coolant reservoir. No apparent coolant loss. No overheating. Engine actually runs cooler than it has in a long time. Engine runs great. Heads were planed and ( supposedly) had no cracks. Has run long enough that cooling system should be bled. Don’t know if issue is head gasket related or crack (block or head) related or something else. Do you think any of your products could help stop the bubbling? Thanks for your question about your 88 Firebird. Great job on getting the head gaskets replaced. BlueDevil Head Gasket Sealer (http://store.gobdp.com/head-gasket-sealer-38386/) is designed to seal a leak in your cooling system at a temperature differential at the leak point. If your leak is from a problem with the block or head, BlueDevil Head Gasket Sealer will form a bond to stop the leak at that point. As long as you purchase BlueDevil Head Gasket Sealer from our website or one of our partnering local auto parts stores it comes with our guarantee to seal your leak! You may also consider checking all the hoses for tight connection and use new hose clamps on all radiator and heater hoses, especially at the water pump to ensure no air is entering the system at those locations. what is the difference between bluedevil pour and go and the more expensive bottle that you have to drain and flush and can only be used in water? is one stronger than the other and what one should be used? The product with the yellow label (32 ounce bottle) will give you best overall results as long as you can remove the thermostat and flush the system prior to use. With the use of either product, be sure to follow the guidelines for the proper amount to use. Based on your capacity, you will be using 16 ounces either way. You may contact our tech support team at 888-863-0426 from 8:00 AM – 5:00 PM (EST) Monday through Friday with any further questions. The initial run must be at plain idle; it should not be driven. The compression would be higher with the vehicle being driven which would create more pressure and reduce the chance of BlueDevil performing properly. I just used your 32oz bottle on my 1991 Dodge ram. I’m stranded in Baker City, Oregon on my way to texarkana, tx. My coolant capacity is 17qt. I did the 50 min idle and the car maintained normal operating temp. I sat and replaced a bolt on the thermostat which took about an hour. After that i drove down the highway and the van is getting hot again but slowly. Is there anyway i could get another bottle. To give it a try I’m real desperate because i don’t have funds to replace the head gasket. I have the receipt from my moms online purchase from O’Reillys. The mechanic i talked to just did a test before i started and said it’s a slow leak. Please help! I’ll even try the little bottle! Update received a quick response from Zach a representative and highly trained technician. Offered help by giving expert advice and another try and there extraordinary product. Thank and I’ll keep you posted on my travels. Due to how quickly the vehicle is overheating we do not recommend using the BlueDevil Head Gasket Sealer. In order for BlueDevil to have a proper chance at working properly the vehicle should be able to idle for a full 50 minute period without stalling out or overheating. You may need to take the vehicle in to a local mechanic. My01 Pt cruiser keeps over heating . i had everything replaced… (radiator, water pump, thermostat, seals for the water pump,). the mechanic told me it might be the head gaskets. can i use this stuff to fix the problem. We recommend having a block dye test performed on the vehicle. If it fails, then the BlueDevil Head Gasket Sealer would be a great option in getting the PT Cruiser running normally again. If the est fails that will be telling you that your vehicle is getting combustion/exhaust gases blowing into the cooling system and creating pressure. To give yourself the best overall chance of BlueDevil working successfully, in addition to the directions, you should remove the spark plug from the cylinder with the leak; this will be the spark plug from the cylinder with a low compression reading. If you are not sure which one that is, you may pull all of the spark plugs and will sometimes notice one will have a white-crystal-like substance on it and/or may look dirty; this is the plug you should pull. Leave that plug out for the 50 minute idle in order to relieve the pressure from building up and thus allowing the product to seal properly. *Note: Based on your cooling capacity you will only need to add 16 ounces of BlueDevil. If the vehicle is overheating that quickly then it may be too far gone for the BlueDevil Pour-N-GO to be able to work properly. Please contact us at 888-863-0426 so that we may assist you in getting the warranty honored. 04 Deville. Likely head gasket leak. It’s not too bad though. Should I go all out and use the yellow bottle or just grab the pour n go? Thank you for asking about your Cadillac Deville. We recommend using the BlueDevil Head Gasket Sealer (32 oz yellow label). You will be removing your thermostat and performing a cooling system flush, prior to using the product. Feel free to contact our technical support line at 888-863-0426 with any questions. 05 nissan cube Z11, I have finished the idle process. Is it recommended to leave the product in the cooling system? Or drain the radiator and add coolant? If I am going to drain the radiator, is it okay to add Toyota Red coolant? The BlueDevil Head Gasket Sealer does not continue to react after one heat cycle. It would be safe to drain the system and refill it with your regular antifreeze at this point. There is no benefit or harm in leaving the BlueDevil in your system. Yes, you would want to add the product when the engine is cold. It is not necessary to replace the radiator cap unless you are having an issue with it closing properly. Feel free to contact our technical support line at 888-863-0426 with any other questions. Just added to my 06 PT cruiser. My last resort after changing radiator, water plump, thermostat, fan and fan motor still overheat. So this is my last resort. Added and did the full 50 minutes. Will top off with fresh coolant in the morning. Keeping my fingers crossed. Feel free to contact our technical support line at 888-863-0426 if you have any questions. Once the product seals, it would be a permanent seal! I have very small rear main seal leak and head gasket leak. Should i use two different products for both? 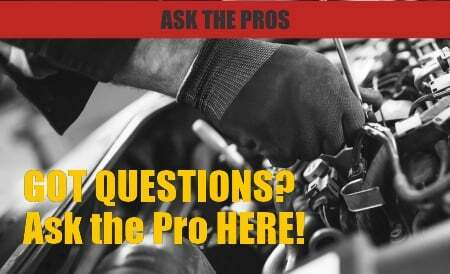 What are the symptoms you are experiencing with the head gasket leak? Are you losing water/coolant? If so, it would be a good idea to use the BlueDevil Head Gasket Sealer (https://store.gobdp.com/head-gasket-sealer-38386/) before attempting to treat your rear main seal leak. As long as the vehicle can maintain idle for a full 50 minutes without overheating or stalling out and you are not losing more than about a quart of water/coolant during that 50 minutes, you should be able to see some great results. After sealing your head gasket leak, based on your description, it would be appropriate to use the BlueDevil Rear Main Sealer (https://store.gobdp.com/rear-main-sealer-00234/). You should expect to see results after about 100-200 miles of driving. Please contact us at 888-863-0426 so that we may discuss your vehicle in detail and determine whether or not it is a good candidate for BlueDevil. Thank you for asking about your Chevrolet Caprice. Are you noticing a loss of water/coolant? Please contact our technical support line at 888-863-0426 so that we can get a little better understanding of the vehicle’s condition and be able to make any appropriate recommendations. Have a 2000 Oldsmobile Alero V6. Getting coolant into the #2 cylinder with a little white steam out the tail pipe. No overheating issues. Not sure of the coolant loss rate overtime. Would this be a good fix? Thank you for asking about your Oldsmobile Alero. Based on your description, you would be a good candidate for the BlueDevil Head Gasket Sealer. For best overall results, you can remove the spark plug from the #2 cylinder before performing the procedure. This will reduce the amount of pressure building up in the cooling system and allow for better water/coolant circulation. Feel free to contact our technical support line at 888-863-0426 with any questions. Have a 98 4Runner. White smoke out the tail pipe when I first turn it on in the morning but goes away once it has warmed up. Coolant level is good for a bout a month before I need to add some. The truck doesn’t overheat. Is this gasket or block? What do I do? Thank you for asking about your Toyota 4Runner. Unfortunately, white smoke coming from out of the tail pipe is a tell-tale sign of a blown head gasket. Based on your description, you would be a good candidate for the BlueDevil Head Gasket Sealer (https://store.gobdp.com/head-gasket-sealer-38386/). Feel free to contact our technical support line at 888-863-0426 with any other questions. Why is My Equipment Leaking Hydraulic Fluid? — How Did My Car Get a Rear Main Seal Leak?